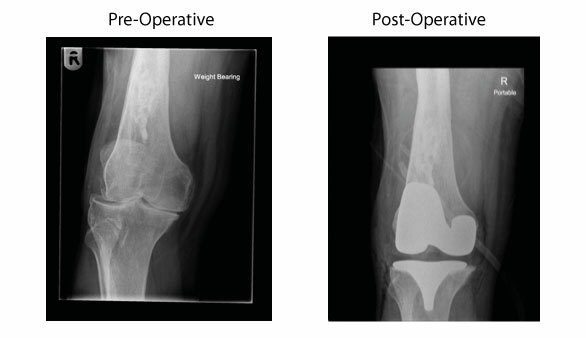 In a conventional total knee replacement, mechanical realignment of a mal-aligned arthritic knee is achieved by inserting long rods into the lower end of the thigh (femur) and upper end of the shin (tibia) bones onto which cutting blocks are attached. 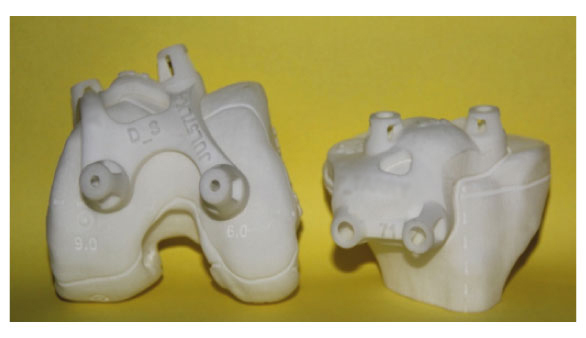 Utilising the cutting blocks, fairly accurate cuts of the lower end of the thigh and upper end of the shin bones can be made, thus restoring ‘approximately’ the mechanical alignment of the patient’s knee. 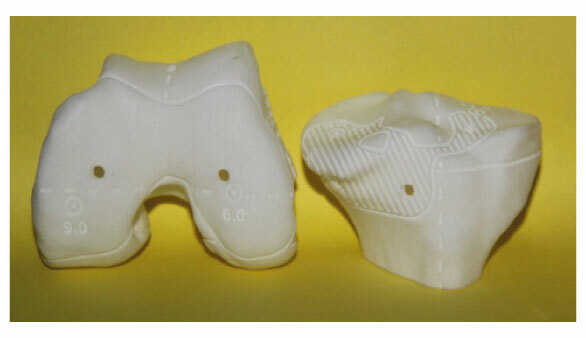 This technique has been shown to be extremely successful, however advances in computing and engineering technology, now make it possible to perform total knee replacements with custom made cutting blocks which are made specific for each individual patient. Before surgery, patients undergo a MRI scan of the whole of their lower limb. This information, allows computers to calculate how to ‘perfectly’ realign each individual knee. Following this, the computer data is used to engineer an accurate model of the patient’s knee and patient specific cutting blocks. These individualised cutting blocks are used during the operation to allow accurate and ‘perfect’ bony cuts of the lower end of the thigh and top end of the shin bones.